None of this post will be about cars. That’s one justification I used in begging my colleagues not to make me write it. I don’t regret sharing many takes, but I do regret sharing this one with the people I work with—which, ironically, I did at a Jalopnik go-karting event in New York City where we served pizza. My coworkers will respond by saying that see, this is related to cars. I actually wrote this back in May, but it was immediately axed by my editor Patrick George, who said “This is so unconscionably bad that I refuse to accept responsibility for it” and “See if Deadspin wants it.” But then it came up again in Ryan Felton’s going-away post, and now, after reading all the comments, we see the people demand it. Here is my infamous pizza take that 99.8 percent of the population hates. (And, to be clear, it’s about the American version(s) pizza. I don’t travel much.) This was not a voluntary writing. Please do not email me about how bad this take is. I know how you feel already. The concept of pizza is bad. Pizza is fine, as an item, and you might even say it tastes good. But pizza as a concept and a meal is terrible. What do you eat with pizza? There’s the salad, if you like salad, which comes before the pizza. But what do you eat with pizza? More pizza, or pizza derivatives. Also, I don’t like sandwich vegetables, therefore I don’t like salad. Scratch that. 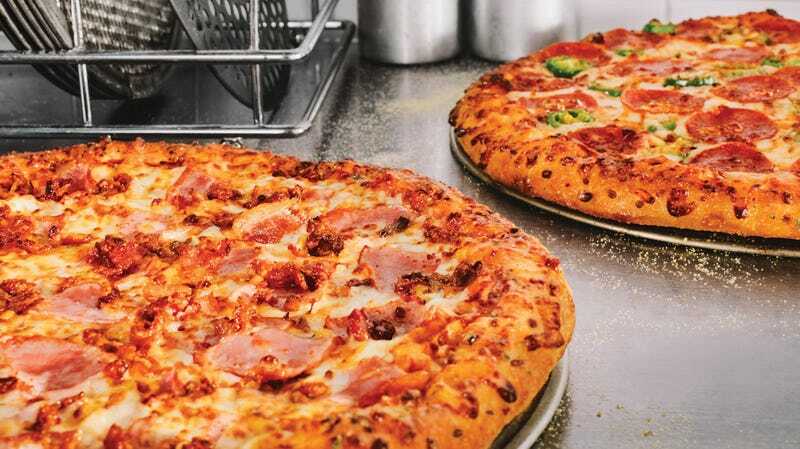 Pizza goes with pizza rolls, breadsticks or more slices of pizza—all in the pizza family. Pizza goes with more pizza! That makes pizza not a legitimate meal, and also stressful because you never finish a plate with a main meal and sides. You just keep eating slices of pizza, feeling like you were never able to complete an actual meal, stopping only when you realize that you’ve probably doubled your suggested daily caloric intake in one sitting. Then, you’re left with at least 1,500 calories of regret and the feeling that you didn’t actually eat a full meal. That’s terrible. The only pizza I will eat is Chef Boyardee pizza, because it is objectively the best pizza there is. I once recommended this to a high-school teacher who also hated my take on pizza, and she made it for her family. They hated it. I don’t have an opinion about pineapple on pizza, because I don’t eat enough of it to have tried that combination. I don’t think I would want to. If you have made it this far, likely swearing at me under your breath throughout the whole blog, I will now go back to writing about cars. Unlike this post, I do that voluntarily. The Deadspin Pizza Idiots Investigate: Which Chain Pizza Is The Least Awful?